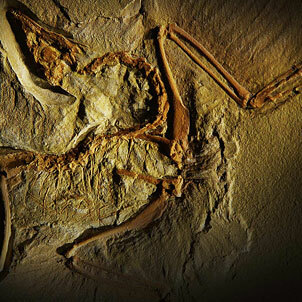 Named for ARCHAEOPTERYX LITHOGRAPHICA, the first reptile to develop the feather for flight, freeing itself from the constraints of the horizontal world. At Arc'teryx our central purpose is to build the finest products possible. Arc'teryx was founded in Vancouver, BC, Canada in 1991, where it maintains its Worldwide Head Office, design studios, and main manufacturing facilities. Our central purpose is to build the best product possible. We don't focus on incremental advancements, but on radically improving the status quo. Our designers strive not to outdo the competition, but to challenge assumptions about how products should be built. We have created groundbreaking construction technology, developed paradigm-shifting designs, and introduced major fabric technology. The resulting deluge of recognition, and mimicry, has cemented our reputation as the best gear designers in the world. Driven by evolution in action, we work passionately to advance performance in the harshest of environments. The Arc'teryx advantage is achieved by merging our unrivaled designs with the best quality, highest performing materials and assembling them in the most innovative and most durable manner for the intended use. Although Arc'teryx has its roots in the climbing world, we realize that the need for better gear exists in many areas. Among the hardest gear users on the planet are the people involved in law enforcement, military operations, peacekeeping missions and security details. The gear they use day in and day out simply has to perform and cannot be allowed to fail. The Arc'teryx Law Enforcement & Armed Forces (LEAF) product line was developed to address those needs.